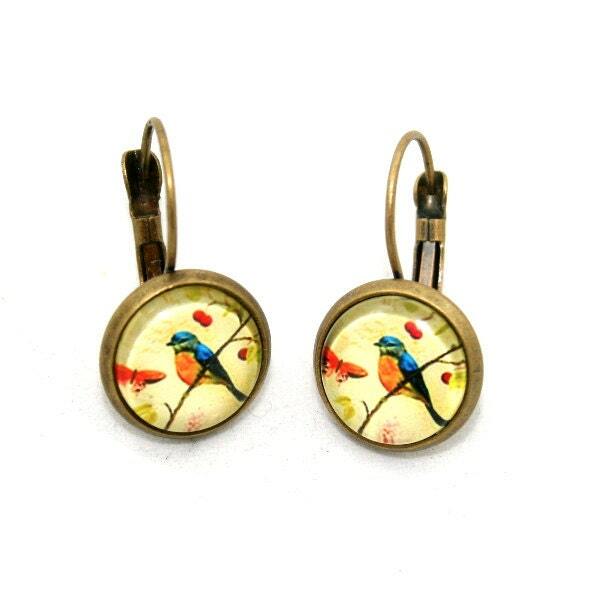 Blue Bird Earrings. 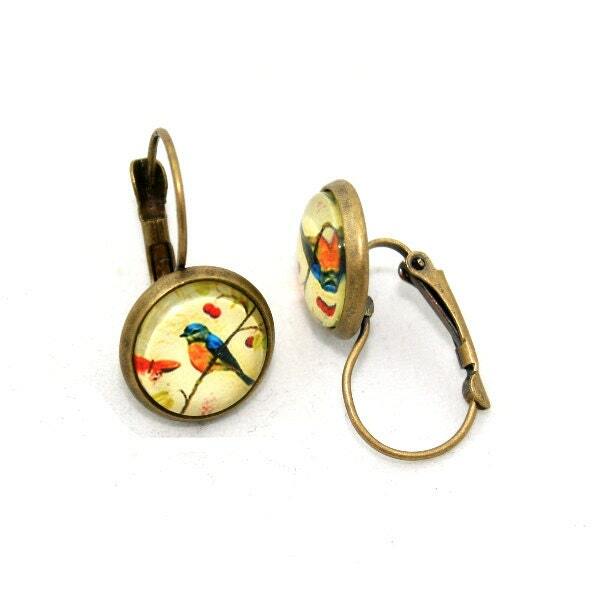 These earrings have been made by encapsulating little blue bird images under glass domes and setting in antique brass cameo earring frames. Love these! The illustrations are lovely, it arrived really quickly and nicely packaged too. These are just gorgeous! I am sure my friend will love them and I'll definitely be back to buy more. Beautiful earrings, arrived very quickly.